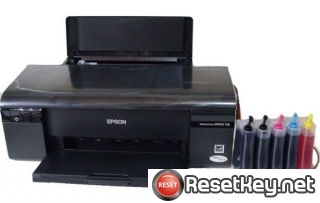 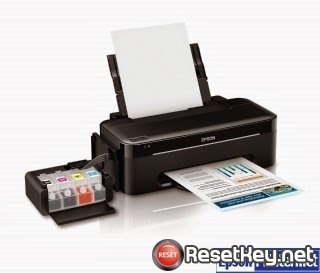 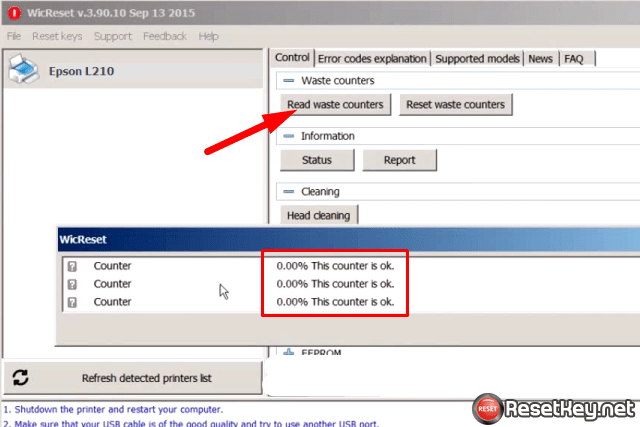 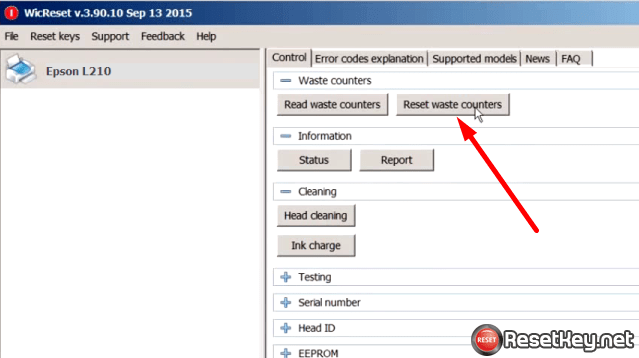 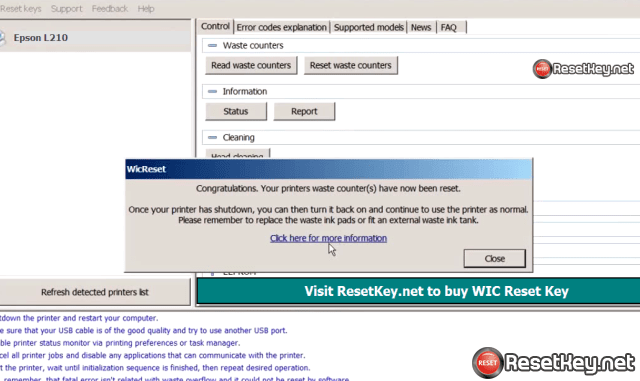 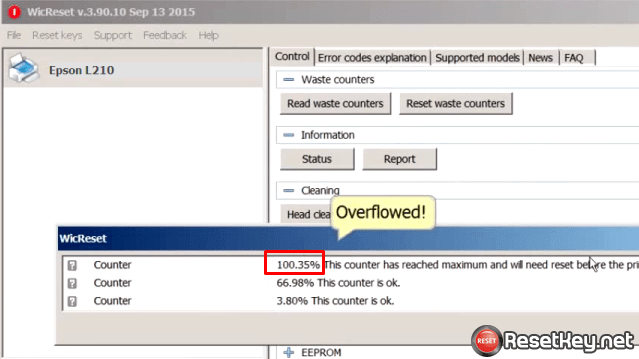 Read detail about WIC Reset Utility Tool here – Epson l210 resetter free download. 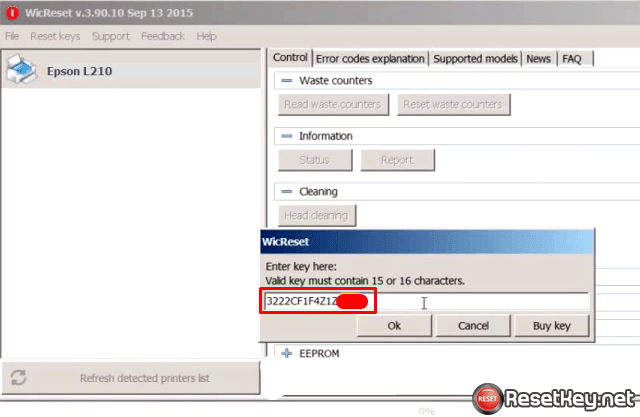 The One Time RESET KEY is required for RESET FUNCTION when you are using the WIC Reset utility to reset Epson L210 printer. 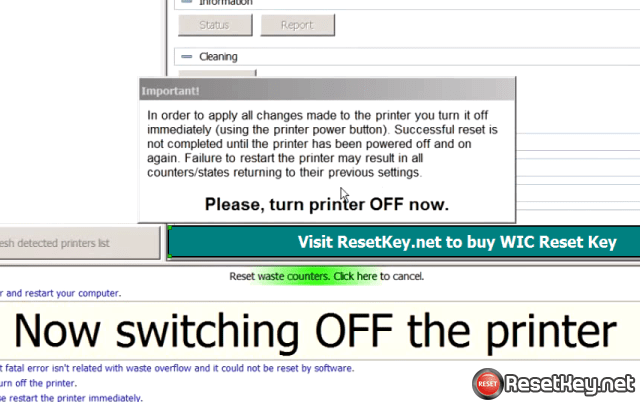 Before reset epson printer make sure your computer connected to printer and internet.